Just seen RA-one the other day!! The kid says villains are k!ck@ss, and it is so very true. If villains are exciting to watch, the movie is more interesting and even more fun to watch. I doubt if that’s the case with RA-ONE but the villain in this case is much better than the hero G-ONE(it hurts to say that, I am a great SRK fan). 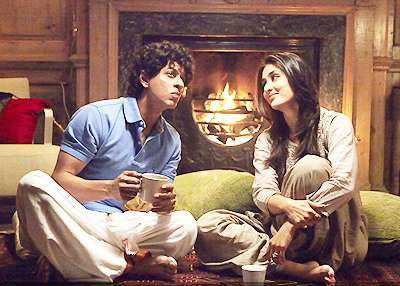 Shahrukhs sweet and cute and adorable as shekhar subramanyam but with G-ONE : ( he is just not so convincing. Always awed and inspired and fascinated by good designs, be it gadgets, architecture, concepts, interiors or anything that is creative, interesting and aesthetic. Having a platform or say a dais to keep all the ideas, designs and stuff that interests or grabs my attention seems a cool idea. Just visit for a dekkho and tell me how it was!! Wake Up And Get Going! !